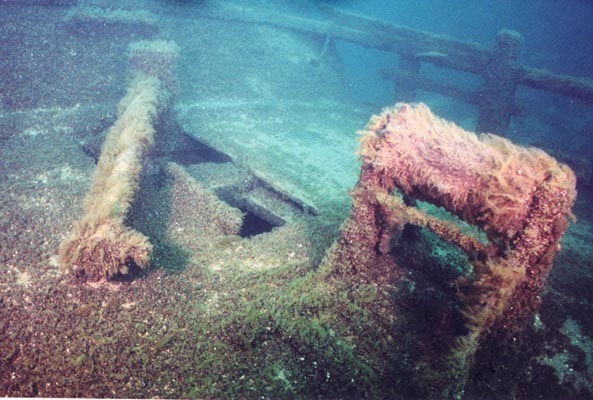 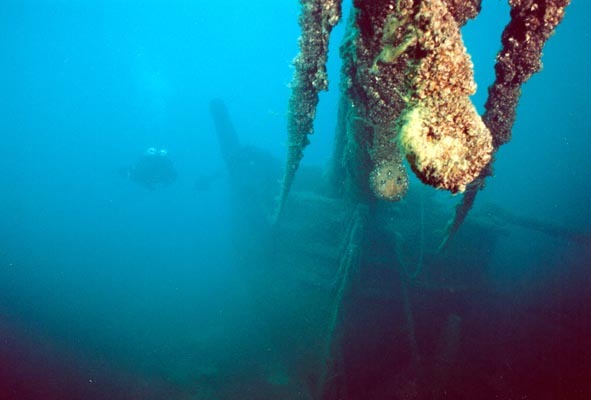 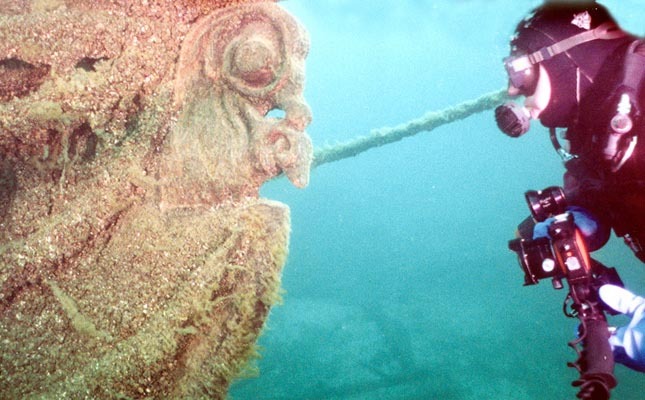 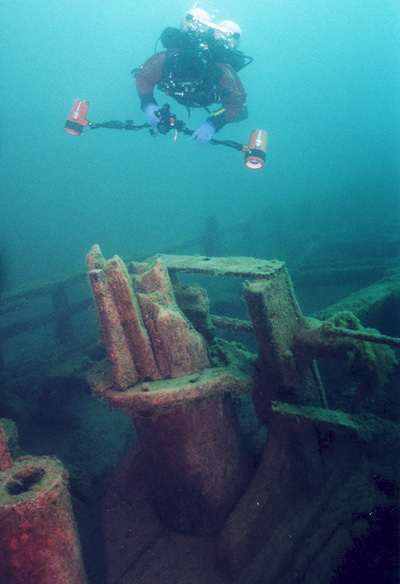 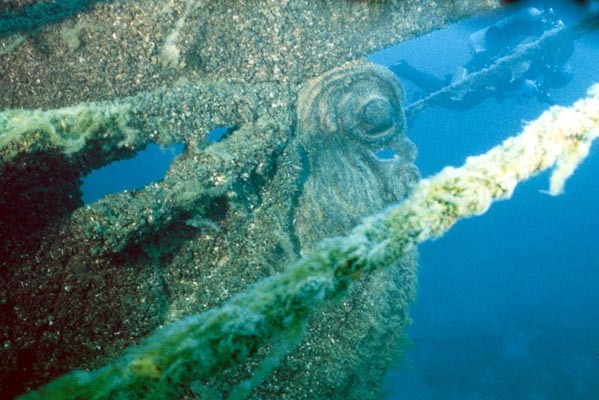 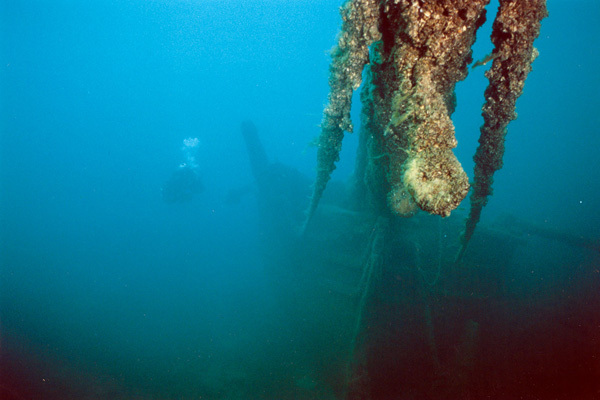 When I was driving to the Straits portion of my Northwind-Tobermory-Straits of Mackinac trip, the 110' long brig Sandusky was the wreck that I wanted to see the most. 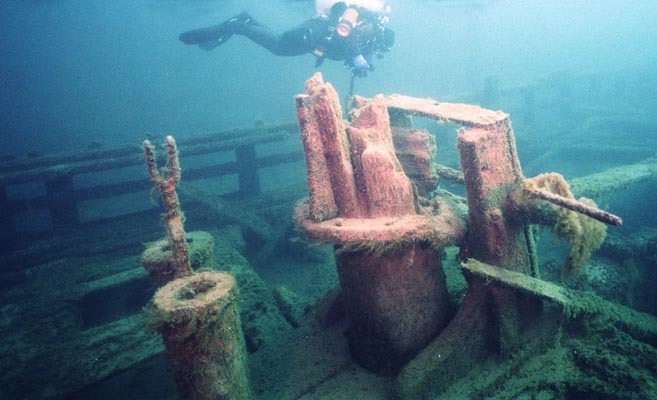 It was a two masted brig, which was a rare type in the Lakes and that one was reportedly in great condition with intact bowsprit that had a ram figurehead (a replica one). 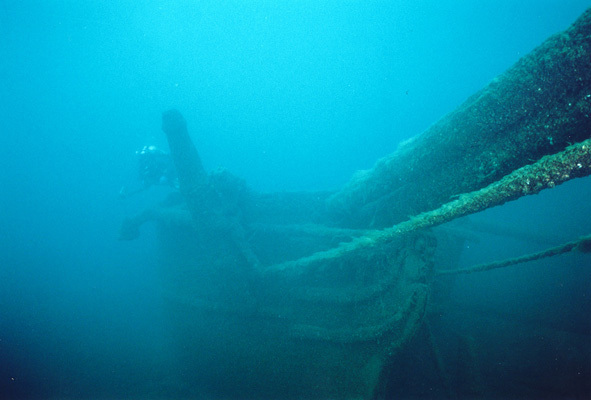 IN 2003 trip, we had to cut our Eber Ward dive short because we wanted to ensure wed have enough gas left to complete the Sandusky dive safely. 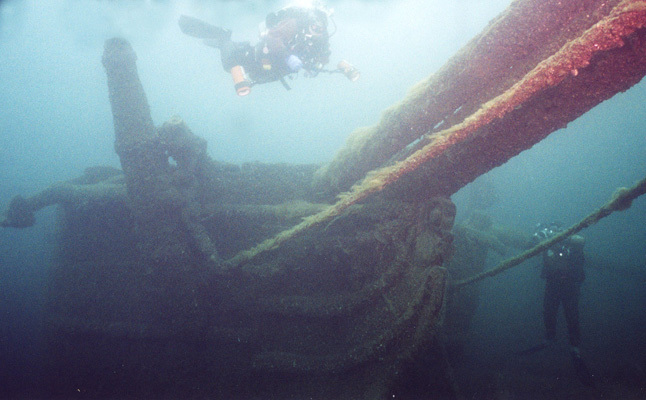 I was disappointed in Sandusky  it was not the wreck that I would like to visit again. 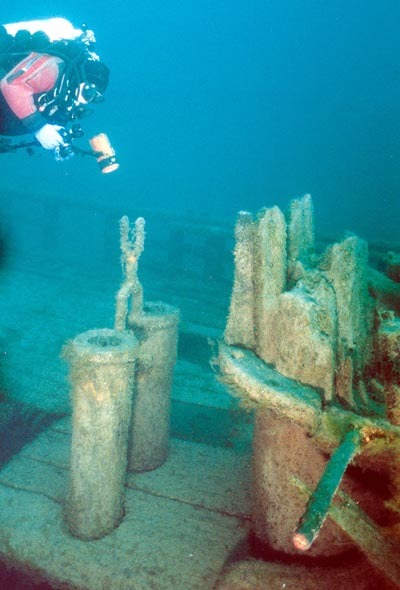 The figurine and bowsprit were nice, but the rest was just ordinary.